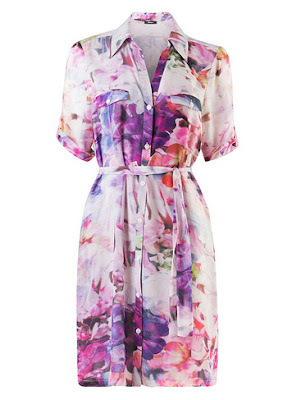 This printed shirt dress is sure to become your summer wardrobe favourite. Designed in lightweight georgette with a waist-cinching belt, it’s effortlessly chic. Add suede ankle boots or sandals statement jewellery and a tote for easy summer style or team with your favourite heels and a clutch after hours.